I have heard nothing but amazing things about Julie Israel’s debut novel Juniper Lemon’s Happiness Index! This book sounds like it covers a wide array of emotion, which is certainly something that I look for in s contemporary YA novel. I also ADORE the idea of a happiness index itself. That is something I would really like to implement in my own life. This book is coming out on Tuesday, and I cannot wait to pick this one up! Repped by Susan Hawk of Upstart Crow Literary. My first book, JUNIPER LEMON’S HAPPINESS INDEX, will be out May 30th, 2017 with Kathy Dawson Books/Penguin. 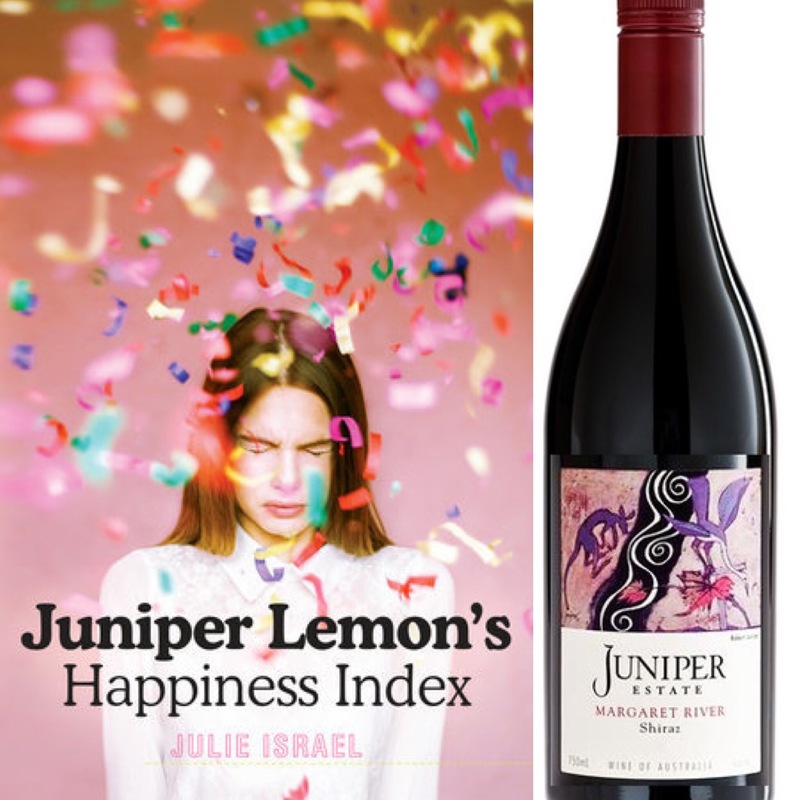 I’ll be pairing this Juniper Estates Shiraz with Juniper Lemon’s Happiness Index when it hits bookshelves on Tuesday! It’s complexity and depth of flavor certainly sound like they will perfectly pair with the complexity and depth of emotion to be uncovered in this beautiful debut novel. Have you added Juniper Lemon’s Happiness Index to your TBR list yet? What are some debut novels that you’re looking forward to this year? Thanks so much! I’m really looking forward to reading this one! Oh, yay! I can’t wait to hear what you think of it! For the longest time, I totally forgot about this one, but I am SO excited to read it. It sounds so good. And I mean, that wine is A+++ with it as well. Ooooh, another contemporary coming out this summer I can’t wait for! Wonderful post, lady! I am really excited to drink that wine with this book. This will definitely have to be a sit down read, so I can enjoy it! This is one of my June contemps, but I definitely don’t think it’s in the fluffy/cheesy category. I am sooooo excited to read this one! I’ll definitely be purchasing a physical copy because the cover is too gorgeous not to have on my shelves! I totally agree. It’s such a great cover. I did get my preorder in, but only yesterday, so hopefully later this week! I absolutely love the idea of logging positive moments ❤ I make a mental note at bedtime each night of each good thing that happened that day (a habit I acquired while learning to live with chronic illness). This sounds fun! That’s such an amazing habit. I’m sorry you had to get into it for that reason, but I love that you do it. I feel like I should just add that to my blogging planner, since I’m in it all the time anyway. Such a great idea.